You can’t buy this hat anywhere. Not at the mall, not on the internet, not even at a ballpark in Ireland. Why? Because there IS no ballpark in Ireland. 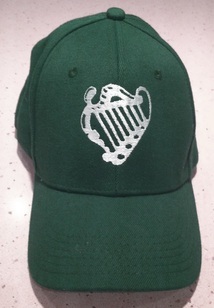 However, if you make a $50 donation, you’ll not only get the official cap of the Irish National Baseball Team, you’ll help build the first-ever baseball stadium in Ireland. Ireland? What about England? Not a single dirt infield in the country. Then they must have all-grass or artificial turf infields, because I know that England has a contrastingly long history of baseball — they won the first Baseball World Cup in 1938 and regularly compete in the WBC. There wasn’t any baseball played at all before the 21st century; their national team was organized less than ten years ago. An actual ballpark will help boost baseball interest and participation by leaps and bounds in Ireland. Any chance the Mets move thier AAA team out there??? There are some fields in England, mainly all grass admittedly – I used to play for Fulham Flames back in the late 90’s at a great field in Richmond (now Richmond Knights/Dragons…) – many a sunny sunday double header spent in the outfield with my Barry Larkin shortstop glove haha. Also Croydon Pirates if I remember correctly have a field with an outfield fence no less! Dog days for the working man…Good times.